This document is unique, just like you ! It's a complete analysis of all the astrological elements in about twenty pages (sign, ascendant, planets, houses and aspects). Your private life, your professional skills, your strengths and flaws are analyzed in a very clear language. This powerful research helps you get better in touch with yourself in order to strive for the best. The texts of this astrological analysis were written by the astrologer Patrick Giani. The English translation was made by Loic Janin. 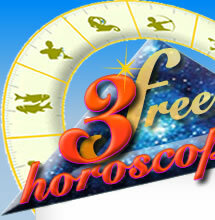 All the astrological data and charts are calculated with high precision by Daniel Vega's AstroQuick software. 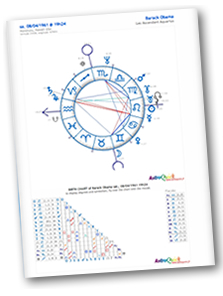 This astrological study of about 20 to 25 pages includes all color charts and details. Such an original idea for a birthday gift, immediately available online. starting from only 16.99 €, including charts and interactive report !